Previous Meeting: Wasatch Revolution 27, Dixie Rebels 20 (OT), Jun. 7, Wasatch evened season series after stopping Dixie in OT. Rebels had tied score in waning minutes with Eric Brooksby’s field goal. How they got here: The Wasatch Revolution won the Utah South division and the No. 1 seed in the playoffs by virtue of tiebreakers with Dixie. The Rev defeated wildcard No. 6-seed Utah Stealth in semifinals. 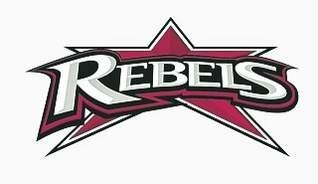 The Dixie Rebels finished second in the Utah South division and secured the wildcard and No. 5 seed. They defeated the fourth-seeded Arco Anarchy in the quarterfinals and the second-seeded Brigham Sting in the semifinals. Players to watch: The Rebels have Misi Tupe for the championship game after winning appeal of his ejection and subsequent suspension from last week’s victory over the Brigham Sting. The film replay convinced league officials that Tupe did nothing that merited ejection. Tupe leads the league in rushing and has increased his accuracy in the passing game. He was having his best game of the year last week before the ejection. Sione Tapuosi and Rimo Mapu also continued their punishing runs as the rushing game eclipsed 200 yards last week. The Rebels will be without receiver Tanner Wood this week due to injury. Tupe will still have Jordan Loo at tight end and deep threat Brennan Adams at wide receiver. The offensive line has had few lapses. They continue to open up big holes in the rushing game. Defensively the Rebels are playing the best they have played all year. They held the Sting to a field goal that came in the waning minutes against defensive reserves. Wayne Alofipo and Vince Feula continue to dominate up front. The Rebels suffered a big loss last week when Jordan Mains was lost for the season. Doug Roberts and Kaleo Teriipaia have stuffed opposing rushers. The biggest improvement last week came from the secondary. Shawn Mitchell and Brandon Thompson lead the team in interceptions. Trend: Before Tupe was ejected, the Rebel offense was unstoppable last week against a very good defensive team. Dixie’s defense held a team that averaged 250 yards and 25 points per game to only 148 total yards and a field goal last week. They also forced four turnovers. The Rebel machine is functioning at high levels on both sides of the ball. Dixie has added an improved passing game since these teams last met. Expect that to pay dividends today. 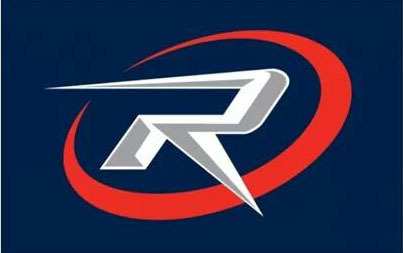 Players to watch: The Rev are led by former BYU quarterback Charlie Peterson, who is rumored to be this year’s RMFL MVP. He is intelligent and rarely makes a bad decision. His favorite receivers have been Bryant Eteuati and Joe Mapson. Johnny Gray leads the team in rushing. Defensively, Wasatch is led by linebacker Levine Tupe, Misi’s older brother and last year’s RMFL defensive player of the year. He still disrupts and is by far the best defender faced by the Rebels this year. He is supported by Dustin Reid on the line and Angel Castillo in the secondary. Trend: While the Rebels are a run-first team, rushing for the Rev is barely an afterthought. The Rev had to hold on against the Stealth after forging an early 20-0 lead. But that seems to be the Rev’s forte — finding ways to win against good teams. Trend: All the Rev has done is win, win, win since that season-opening loss to the Rebels. Five of their eight wins were by one score or less, so they’re not exactly blowing people away. But Wasatch has become adept at pulling out the close ones as evidenced by their wins the last two games. Rubber match! Both teams successfully defended their home fields against the other this year. That statistic alone would seem to give the edge to the Revolution. Coach Stott believes that the Rebels passing game has vastly improved since these teams last met. Tupe’s accuracy has definitely improved. However, that accuracy was against the Sting and Anarchy. They are good teams, but they are not Wasatch. The key to this game again will be in the trenches. Can Tom Semmens, Logan Stott, et. al., keep Levine Tupe and Dustin Reid off of their quarterback. Can they continue to open big holes against Wasatch? Can the Rebels maintain their pressure against Peterson without Mains? Only one thing is certain — The fans will get their money’s worth as the game should be close and entertaining.